Yemen Has Been Cut Off From The World. This Is What Yemenis Need You To Know. "All entries to Yemen are closed. We will die, we will die." Saudi Arabia said on Sunday that it had closed access to all land, sea, and airports in Yemen — a move that will prevent any aid from being flown into the war-torn country and has Yemenis worried that their already harsh lives will be made impossible to bear. The move to shut off all access in and out of the country comes two years into the ongoing war, in which the Iranian-backed Houthi rebels have been fighting against a Saudi-led coalition – including the United Arab Emirates, Jordan, and Egypt among others – that supports the internationally recognized government of Yemen. 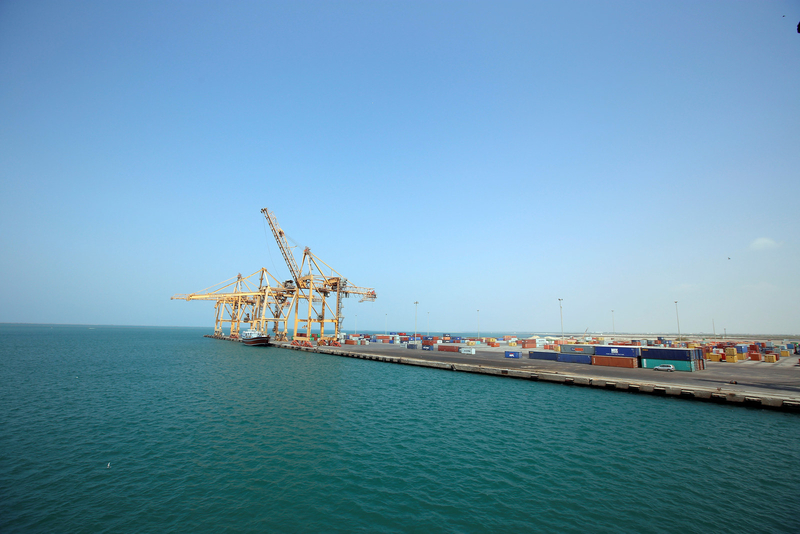 A partial blockade had allowed a small portion of aid into Yemen. But over the weekend, rebel forces fired a missile into Saudi Arabia that landed at an airport near Riyadh, prompting the Saudi closure of all ports. The proxy conflict has bitterly divided the country since 2015 – with disastrous consequences for the population: At least 10,000 people have been killed, around 40,000 have been injured, medicine is scarce, and the economy is on the brink of collapse. Following the Saudi blockade's announcement, Yemenis are tweeting using the hashtag #OpenAccessToYemen and sharing stories about their families who are unable to receive international aid, including basic needs like medicine. 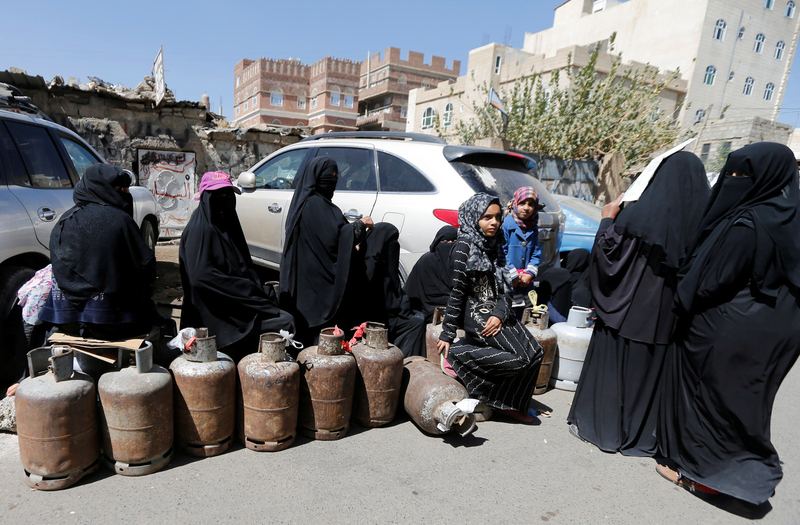 The blockade has forced prices up, making it difficult for ordinary citizens to even afford bread – let alone heating fuel as winter approaches. Afrah Nasser, a Yemeni journalist currently in Washington DC, tweeted about her family in the capital Sana'a in one of the hashtag's most viewed tweets. Nasser told BuzzFeed News that the latest blockade was a "death sentence." "Every time I call back home in Sana'a, it is to hear my mother is about to leave to attend a funeral or she just came back from a funeral," Nasser told BuzzFeed News in a WhatsApp interview. She said her family in Sana'a were barely surviving as inflation has rocketed and food has became increasingly scarce. "Imagine, if you have no salary and everyone around you are penniless too how on earth you would afford one piece of bread? "It used to be a slow death for millions in Yemen but now it will be a fast death," Nasser added. “People are scared,” she told BuzzFeed News via WhatsApp. Ahmed continued that people were trying to buy food because they were afraid, but many were unable as the prices had rocketed. There was a struggle to find medicine but even if medicine was available, she said, “there are no functional facilities." “People are panicking,” she continued. “They feel they are facing death after this blockade — and not slow, it will be very fast this time. Yemenis are not like Syrians. [Syrians] can escape through borders." Yemen is bordered by the Arabian Sea to the south and Saudi Arabia to the north. The only other land border is with neutral Oman, roughly 600 miles to the east of both Sana'a and Houthi-held territory. More than 7 million people received food assistance in October. Ahmad Algohbary, an activist and journalist in Sana’a, said everyone was “very scared” about the blockade. “They don’t have enough food. They can’t buy food because of the prices ... the prices are getting higher and higher,” he told BuzzFeed News. Since the complete blockade, food prices have jumped 60% and the cost of fuel has risen 100%, according to Reuters. Mohammed bin Salman, the Saudi crown prince, pursued a hardline against the Houthi rebels as the country's defense minister, forming the coalition that began the international bombing campaign. Since then, the kingdom has controlled who and what enters Yemen. David Beasley, head of the United Nations World Food Programme, warned on Monday that thousands of children were “on the brink of starvation” if aid were not allowed in. The UN was in talks with the coalition to get aid into Yemen after two humanitarian flights were prevented from entering the country on Monday. More than 80% of Yemen's population are in need of some kind of emergency aid, including more than 11 million children, according to the UN. Humanitarian groups estimate a child dies every 10 minutes from preventable issues like malnutrition, diarrhea, or respiratory infections. Aid organizations estimated the number of suspected cholera cases will reach 1 million by the end of 2017. Heard The One About A Quaker, A Methodist Minister, And The Fighter Jets Sold To Saudi Arabia?